Disabling hearing loss in the USA costs around $133 billion each year. This is around $9,100 per person with an untreated disabling hearing loss. 7% of all adults live with a disabling hearing loss. 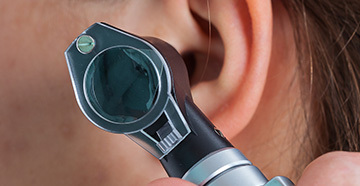 More than two out of three are not treated for their disabling hearing loss. The costs are related to lower quality of life and higher unemployment among people with a disabling hearing loss. The cost does not cover extra health care costs caused by hearing loss. A disabling hearing loss is defined by the Global Burden of Disease research group (GBD) as a hearing loss greater than 35dB on the better ear. The figures are estimated based on the report “Hearing Loss - Numbers and Costs” using data about the number of persons with a disabling hearing loss, the use of hearing aids, unemployment and quality of life. The report is a meta study which has analyzed and compared hundreds of scientific studies and papers in the last two decades about the prevalence and the consequences of hearing loss and the use and benefits of hearing aids. In the EU, untreated, disabling hearing loss costs 185 billion Euros each year. This is around 8,200 Euro per person in Europe with an untreated disabling hearing loss. 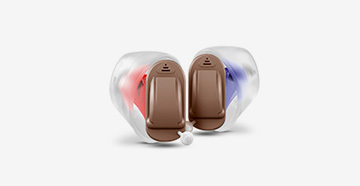 There are around 23 million people with a disabling hearing loss (>35 dB) in USA. More than 14.6 million are not treated for their disabling hearing loss as only around one in three with a disabling hearing loss use hearing aids or other hearing solutions. With a steadily aging population who live longer and longer and with an earlier onset of hearing loss due to increased noise exposure, this growth will increase even further in the years to come. “The scientific report clearly demonstrates that untreated hearing loss is a major health issue and that untreated hearing loss has a huge economic and social impact on our society. It also documents that checking your hearing and treating hearing loss pays, both for the individual and for society”, says Secretary General Kim Ruberg, hear-it AISBL, which has published the report. 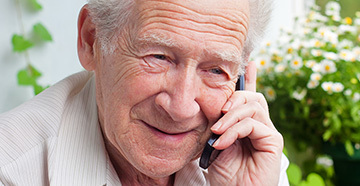 “If you think you might have a hearing loss, my best advice is to get your hearing checked. You can start by checking your hearing using the WHO “Check your hearing” app. The report, “Hearing Loss - Numbers and Costs”, is carried out for hear-it AISBL by Professor Emerita Bridget Shield, Brunel University in London with the assistance of Professor Mark Atherton, Brunel University, London. In 2006, Professor Bridget Shield compiled the first report for hear-it AISBL: “Evaluation of the Social and Economic Costs of hearing Impairment”. World Hearing Day is held by the WHO on the 3rd of March each year to raise awareness of how to prevent deafness and hearing loss and promote ear and hearing care across the world. The theme for World Hearing Day 2019 is “Check you hearing." Article originally appeared on GlobalNewswire.